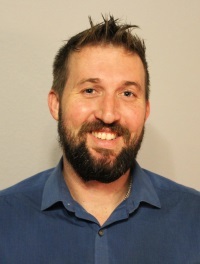 Matt Sager is the Contract Management Specialist for the City of Austin and this month's guest blogger. Matt Sager has a double-Master ASE, hybrid/EV, Ambulance EVT, and is NAFA CAFS Certified. In this blog, Matt shares with us his strategy for career success in the fleet industry as the City of Austin's Contract Management Specialist. “What does it take to be appreciated around here?” I asked myself. After going above and beyond yet again, my frustration at work persisted. First, let me set the stage. I’ve been turning wrenches for roughly 15 years. I’ve done what I could to get off the floor. I was a tech, service writer, dispatcher, interim supervisor... you get the idea. None of it seemed to stick, though. What was I to do? I knew I liked cars. Being a mechanic was about the only thing I was good at. At least from what I could tell about myself. I saw the ladder of hierarchy in the dealership. Mechanic, then shop foreman, then service writer, then manager. I knew there was no way I could be a manager. At least not yet. Service writer was the next progression. So I took a shot at it, and failed miserably after four months. I moved to Austin after years of wrenching in my small hometown. I wanted to be where there were endless opportunities. I applied to a local dealership as a service writer. I quickly learned that It’s tough to make money on the floor at a dealership. It’s a lot of hard work and long hours, both physically and mentally. I knew I didn’t want to do this for any longer than I had to. I went back to being a tech until another opportunity arose. A dispatcher! I would still be in the shop, a place I knew very well. I would be off the floor, finally. I would gain skills I knew I would need to move up, even though I didn’t know what skills those might be at the time. I lasted longer at this job. I actually enjoyed it. I was making a difference. I was doing everything I knew how to do to help bridge the gap between the office and the shop floor. It gave me a clearer picture that the automotive world isn’t just composed of turning a wrench. So I started hustling, and changed my attitude. I got as many ASEs as possible. Not just Master’s in automotive, but a Master’s in heavy truck too. I studied up on hybrids and EVs as well. I got my ASE certification in Hybrid/Electric Vehicles. I even found out about an Emergency Vehicle Technician certification (EVT) so I studied and got that. The turning point was when my supervisor joined NAFA in 2015. He was studying for his CAFM test one day. When I glanced at the extensive list of study materials, I gasped. I saw so much information that I never thought would apply to the automotive world. Much of it has much greater ramifications outside the industry too. After he started telling me about the certifications and his career plan, I was convinced that this was the way to go. I saved up, joined NAFA, and enrolled in the CAFM program. I had the good fortune to attend their NAFA Expo when it was in Austin and went to every one of the CAFM boot camps. I passed 6 of the 8 tests the next day. I’ll be done with the last two soon. I’m off the floor and in an office now. That’s not as important to me, though, as much as my change in mindset. I’m excelling at my new position in Fleet Acquisitions. My background and knowledge are being put to their best uses now. I’m in charge of a $50-million budget this year and am shaping the fleet makeup of over 6,000 vehicles. All of this has been to help answer my original question: “What does it take to be appreciated around here?” Well, I can’t speak for all the other ways people have climbed their ladders. I know how I’m climbing mine. “Be the best today. Be better tomorrow.” You can do it, too. 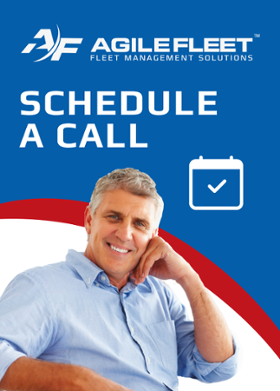 Did you know you can earn NAFA's CAFM and CAFS credits toward re-certification by participating in Agile Fleet events, speaking on a panel or guest blogging? Learn more.